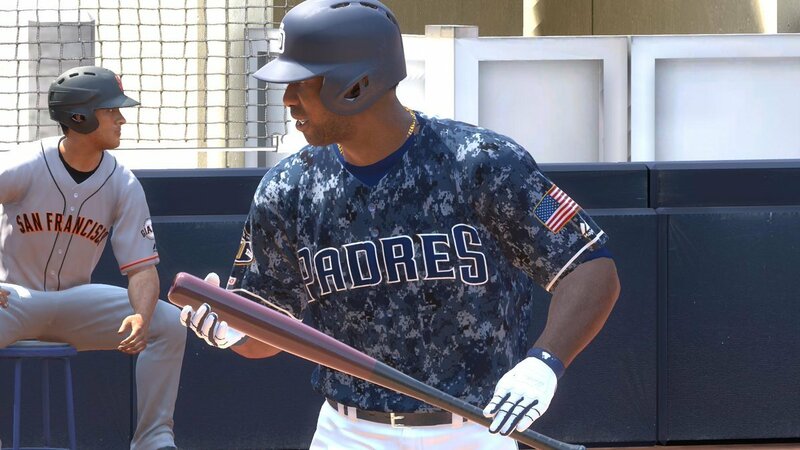 SIE San Diego continues to offer the best sports simulation on the market and MLB The Show 19's focus on the details pays off big for baseball fanatics. 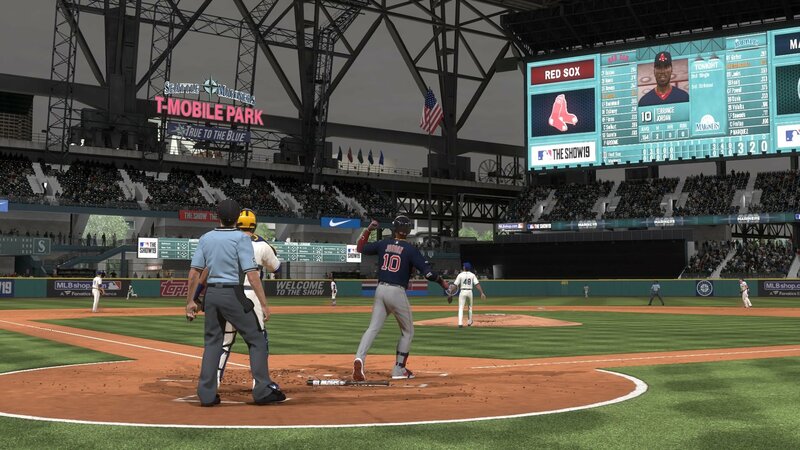 Another spring rolls around and Sony is offering up another edition of its market-dominating baseball simulation MLB The Show 19. While largely similar to previous iterations, this year’s release piles on the details and fixes enough long-standing issues that it makes a worthy upgrade for owners of the older editions. Baseball fanatics will find loads to love and MLB The Show remains the best professional sports simulation that money can buy. 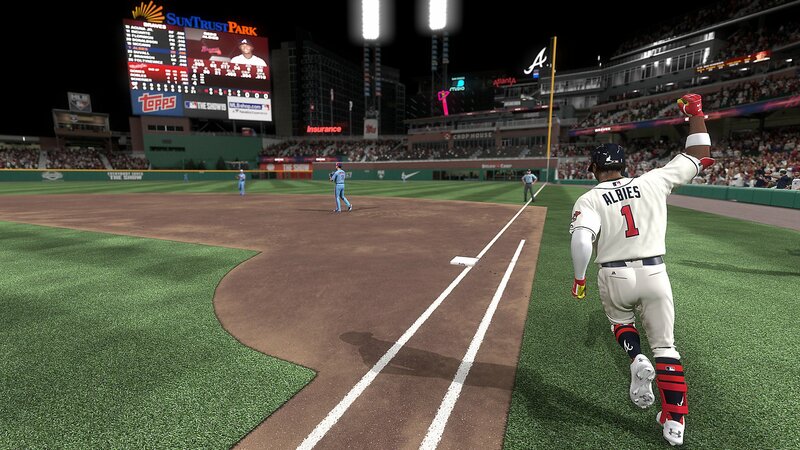 Light reflects perfectly across a variety of material types, making MLB The Show 19 the best-looking sports game on the market. Because MLB The Show 19 is an iterative advancement over its predecessors, I won’t spend much time covering the basics, as they remain largely the same for this year. This is a video game simulation of baseball and it performs admirably at its task. A variety of modes are available for users, including exhibition games, franchise mode, career mode, and historic moments. 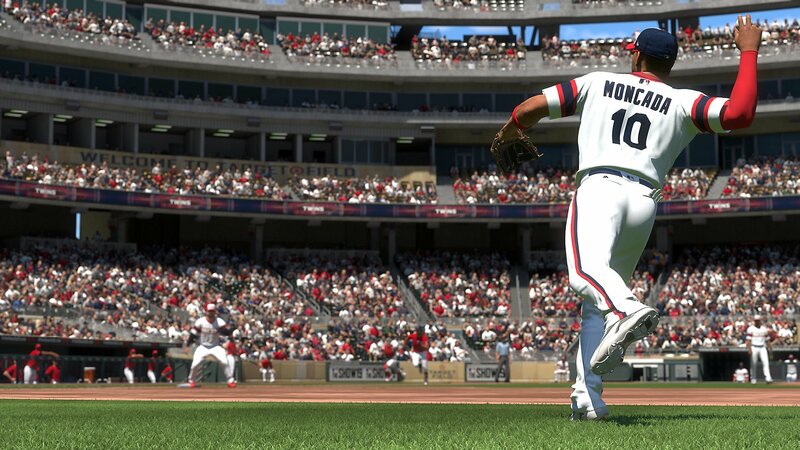 The feature offering for players is the new Road to October mode, which condenses the franchise mode into individual moments spread across a season. It allows users to get some of the franchise mode experience without requiring a 1,500-hour time investment, which is a welcome option. Players will earn XP and rewards for interacting with any of the game’s modes, with most of the earnings funneling into the Diamond Dynasty trading-card mode. Because we live in 2019, all sports games must have a trading card game built in and The Show is no exception. Like the popular Ultimate Team modes from the EA Sports games, Diamond Dynasty lets players open card packs to build teams for play against AI or online opponents. You can slowly grind for in-game credits to buy more packs or you can call up your wallet from the dugout and spend real cash. There is also an in-game community market that allows Diamond Dynasty players to buy and sell the cards with each other. SIE San Diego spared no expense showering the game in detail. On the field, the action is superb. Changes have been made to the fielding experience and handling balls in play feels much improved over previous iterations of The Show. A plethora of new animations offer a wider variety of outcomes to any play, with balls that can be mishandled or dropped, as well as quick recoveries where fielders still get the out after a bobble. Player ratings play a bigger role in how hits are recognized and reacted to. Gold Glove-caliber players will offer superhero-esque reaction times and movements to intercept or knock down liners and sizzling ground balls, while subbing in a power hitter will require more thought for the player as placing a poor defender into the field can cause problems in subsequent innings. Batting remains largely unchanged from last year’s game, which is perfectly acceptable, as the feel of hitting the ball was already superb. You will have a few options for making contact with pitches and aiming hits works reliably for those critical moments when you want to make strategic moves. Difficulty adjustment and camera alterations can speed up or slow down the perceived speed of incoming pitches, so players can dial in the exact experience they are looking for. Reflections and jerseys come alive under the night lights. Attention to detail was clearly a focus for SIE San Diego this year and the time investment pays off in spades. New animations, commentary lines, stadium quirks, and more help increase immersion and bring the cyber experience incredibly close to the real thing. It is hard to imagine what else the development team could add to the package to make The Show a more faithful representation of a day out at the park, short of including a bag of dirt from the pitcher’s mound at Camden Yards. Player models look sharp and certain superstar players have face models that are as good as anything you can find in a modern video game. Some of the 3D head scans fair better than others, but baseball fans will have no trouble recognizing star players from facial features or mannerisms conveyed with small animations. After foul balls or strikeouts, the TV-style presentation will whip around to closeups of fielders that will brush away sweat or chew gum. They feel less like 3D models and more like real baseball players. New camera cuts add so much to the game, especially the pitcher/batter showdowns in critical moments. The details affect gameplay in meaningful ways as well. Hard hits that make it over outfielders will now bounce off walls unpredictably, adding a nice twist to fielding. Foul balls will now properly react to making contact with various obstacles or material types in the stadium, rather than appearing to hit off walls without losing any momentum. A ball hitting a hard wall reacts differently to one that hits padding. The stadiums themselves are full of easter eggs. Pesky pole in Fenway Park is now covered in signatures and the All-Star game in Cleveland has small embroidered guitars on the uniforms, adding to the realism. The commentary team returns for The Show 19 and gets a number of new lines, many of them being super specific, which helps to make the lines feel less generic. The game will also cut to dugout reports from MLB Network’s Heidi Watney, who will comment on game-specific information and statistics. Her interactions with the managers and players feels much more realistic than anything I’ve ever seen from a video game sideline reporter. On the whole, the ludicrous attention to detail in the presentation reminds me of ESPN NFL 2K5, which remains one of my all-time favorite sports games and has yet to be surpassed by Madden in this area some 15 years later. 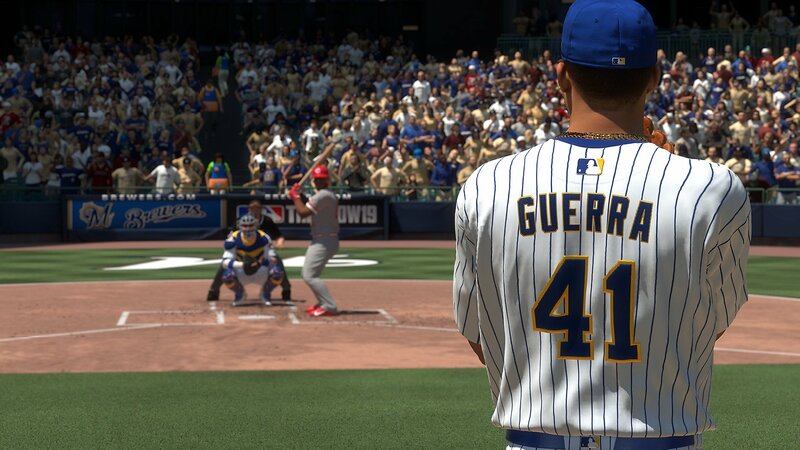 MLB The Show 19 is the new standard for virtual sports game presentation. Throwback uniforms are as richly detailed as the standard threads. There are so many new details and updates that it would be impossible to list them all in this review, but virtually all the time I spent with the game left a smile on my face. I am a noted graphics enthusiast and MLB The Show 19 looks good, especially when you enable HDR. The various types of weather and lighting make each stadium and time of day feel real. The game offers users three options when it comes to visuals: Faster, Balanced, and Sharper. The three modes are tied to resolution, with Faster operating at 1080p, Balanced at 1440p, and Sharper at 2160p, or 4K. The game runs very well on Faster mode, but it appears to lack any anti-aliasing, making player edges and base lines look like a shimmering mess from time to time. The other modes remedy this, but butcher the frame rate, with Sharper mode being more or less unplayable. Ultimately, this is the biggest crime that MLB The Show 19 commits, as the 4K mode is a visual stunner, but is effectively useless for normal play. I had the same issue with MLB The Show 17, the last version of the game I played extensively, and I am disappointed that the development team was unable to get a crisp presentation to work smoothly on PS4 Pro hardware once again. This review is based on a PSN key provided by the publisher.. MLB The Show 19 was made available for PS4 March 26, for $59.99. Great review, makes me want to buy it. Road to October sounds cool. I might have to pick this up.